Portland, Oregon — The Hagenstein Lectures, an exciting community event presented by the World Forestry Center and the Society of American Foresters, debuts Sunday, October 9 at the World Forestry Center in Portland under the theme of “Emerging Voices in Forestry.” Five young foresters under the age 45, working at the forefront of social, economic, and environmental change will be featured. The event will be held from 1:00-5:00 p.m. in Miller Hall on the World Forestry Center campus in Washington Park. Doors open at Noon. Admission is free, but advance tickets are required. Despite multiple legal setbacks before World Trade Organization and NAFTA tribunals, American softwood lumber producers are still calling for the imposition of limits and tariffs on Canadian imports, arguing that they represent unfair competition because they’re subsidized. If no new agreement is ratified by the deadline of Oct. 12, imports from Canada could be subject to tariffs of up to 25 per cent. This would place Canadian producers and workers, who are struggling to recover from the last economic crisis, in an even more precarious situation. Residential construction is the main outlet for softwood lumber, and the economic slowdown of recent years has led to the loss of thousands of jobs. As for the American market, it accounts for fully 65 per cent of the industry’s total production. 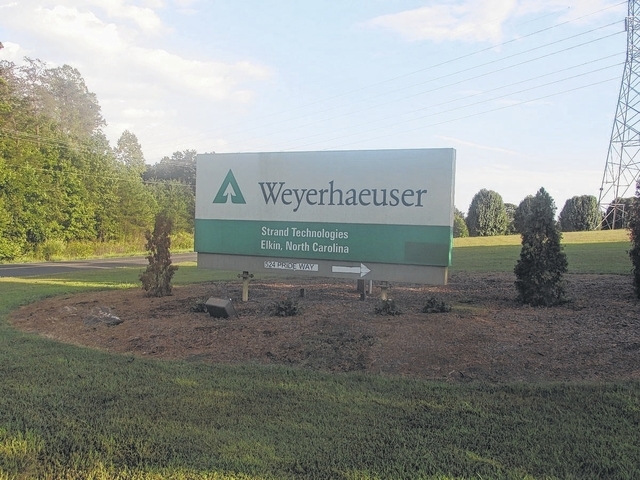 A warehouse at Weyerhaeuser on Pride Way Road off of N.C. 268 caught fire Wednesday afternoon. According to information obtained through radio communication between fire personnel and Surry County 911 communication center, the fire was started when the press machine caught fire. The fire was classified as a structure fire that included the attic area. The dispatch went out around 5 p.m. C.C. Camp Volunteer Fire Department was the primary fire department that dispatched to the scene but other fire stations have also been reporting to the scene. Ashland-based Northeast Pellets has been awarded a contract to provide pellets to the University of Maine at Fort Kent, an agreement seen as having a potential $5.25 million impact on the local economy, according to President and CEO Matthew Bell. Northeast Pellets was awarded the contract, which went into effect July 1 through a competitive bid process. The one-year initial contract could potentially be renewed twice. Northeast Pellets will see its sales increase by about $750,000 over the potential three-year life of the contract. Based on economic impact multipliers developed by the state that projects a seven-fold increase in economic activity tied to manufacturing, the impact to the region could be $5.25 million, including hundreds of thousands of dollars in additional residual revenue for mills along the Route 11 corridor. In March 2014, a family-run engineering business in north-eastern Victoria awoke to a nightmare. 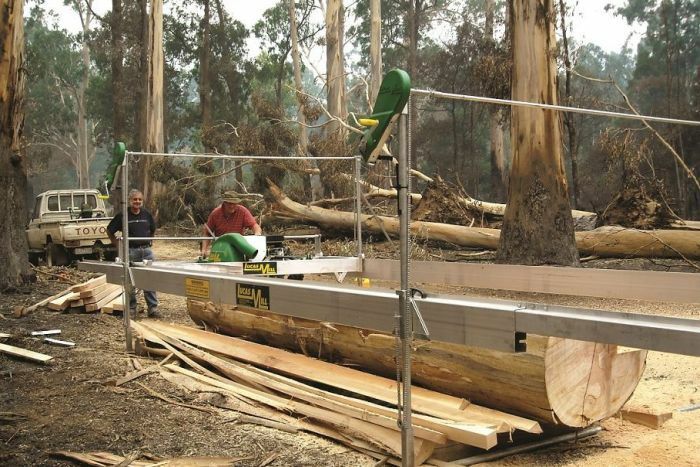 The company’s highly successful portable sawmill — exported to more than 100 countries worldwide — was featured on a Chinese website. But it was not their website and it was not their machine, but a near exact imitation.”We’ve always been concerned that there’d be a copier in somewhere like China,” Lucas Mills co-owner Warren Lucas explained… “There has been a long-standing problem of Chinese companies infringing patent rights of foreigners,” Tracey Hendy of FPA Patent Attorneys said. But getting evidence that would be strong enough to challenge the counterfeiters in a Chinese court of law was a daunting and difficult task. OTTAWA, ON – Three years after launching a request for an Expression of Interest, through funding received from Natural Resources Canada, for Canadian design teams willing to undertake an innovative approach to designing and building high – rise wood demonstration projects, the Canadian Wood Council (CWC ) was proudly in attendance at the ‘topping out’ celebration of the University of British Columbia’s Brock Commons Phase 1 tall wood student residence. When completed, Brock Commons will be among the world’s tallest mass timber hybrid structures at 18 storeys. “Above and beyond further establishing the safety, economic and environmental credentials of massive timber products used in buildings, UBC’s Brock Commons will inspire current and future generations of architects and engineers to consider its use – ultimately creating another and most welcomed construction choice for builders and new markets for wood product producers,” explained Michael Giroux, president of CWC. WATCH the time lapse of the building’s construction. It stands 18 storeys tall and is now the tallest wood building in the world. University of British Columbia’s Brock Commons student residence is the first mass wood, steel and concrete hybrid project taller than 14 storeys in the world. VANCOUVER – Canada’s Minister of Natural Resources, the Honourable Jim Carr, today visited the University of British Columbia’s campus to celebrate the “topping out” of the Brock Commons Residence. This 53-metre, 18-storey building is the tallest wood frame building of its kind in the world. The Brock Commons Residence, part of UBC’s Student Housing Growth Strategy, uses cross-laminated timber as its primary building material, a technology that greatly increases the technical limits for tall wood construction. The Government of Canada is contributing $2.3 million toward the project through Natural Resources Canada’s Tall Wood Building Demonstration Initiative, which is part of the Government of Canada’s strategy to help expand the North American market for Canadian wood products by encouraging the use of wood in construction. The wood-to-energy checkoff initiative for the wood pellet fuel and biomass power industries recently launched a website to provide updated information about the program as well as a forum to ask questions about the initiative. Over the past few years, a group of nine volunteers, including representation from three segments of the wood-to-energy sector—domestic pellet manufacturers, export pellet manufacturers and biomass power producers—have developed an ad hoc process to study the potential of the USDA Research and Promotion Program (referred to as a checkoff program) to aid the sector. 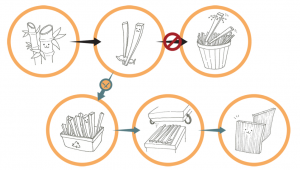 Checkoff programs have mainly been in the agricultural sector; however, more recently, softwood lumber and the paper and paper-based packaging industries have adopted programs. As the public enter The Smile, a 34m-long curved rectangular tube at the Chelsea College of Arts, few will appreciate that the structure uses the first full-sized hardwood cross-laminated timber (CLT) panels ever made. …Designed by Alison Brooks Architects, The Smile showcases the unique qualities of American tulipwood, a fast growing hardwood native to North America. It’s typically used in the UK for framing furniture and doors. …Andrew Lawrence, Arup’s timber specialist who engineered the structure, says that if softwood had been used instead, much thicker CLT panels would have been needed. Scion’s environmentally-friendly bioadhesives technology was awarded Biotechnology of the Year at NZBIO’s annual conference yesterday. Dr Will Barker, Chief Executive of NZBIO, said “the technology is a game changer for wood panel manufacturers”. The Scion bioadhesives team, led by Warren Grigsby, has developed a world first 100 per cent biobased adhesive and resins for engineered wood products. Made from natural sources, such as forestry and agricultural waste, these adhesives and resins are petrochemical-free, have very low formaldehyde emissions and can be made and used in existing manufacturing operations. Ancient logs dated at 5,500 years old have been uncovered in Sechelt and the district is now considering what to do with them. Tony Greenfield of the Sunshine Coast Natural History Society (SCNHS) was before council on Sept. 7 asking the district to take ownership of one or more of the logs for display, along with interpretive signage, in Sechelt. Greenfield said the 10 logs, each about three or four metres in length, were uncovered when Wakefield Homes was excavating for The Watermark site in Sechelt a few years ago. VANCOUVER – A vast tract of pristine waterfront within British Columbia’s Great Bear Rainforest has been donated to the Nature Conservancy of Canada, filling in part of a patchwork of conservation efforts in the prized wilderness. Parcels of private land are scattered throughout the Great Bear Rainforest that stretches along B.C.’s central coast and is about the size of Ireland. 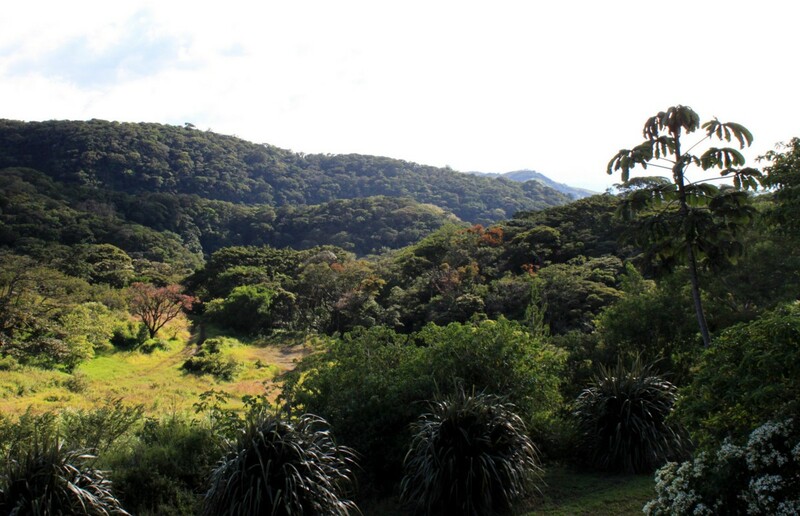 It accounts for one-quarter of the world’s coastal temperate rainforests. Only about one-third of the rainforest is fully protected under parks and conservation areas, while nine per cent of the total area is available for logging… The newly donated private lands along the coast will protect another 185 hectares of ecologically significant old-growth forests and estuaries. Three of the parcels were donated to the conservancy by the owner Tony Allard and his family. … BC is home to some of the largest, oldest and most impressive trees in the world, and some of them are found right inside the old growth sections of the UBC Malcolm Knapp Research Forest. 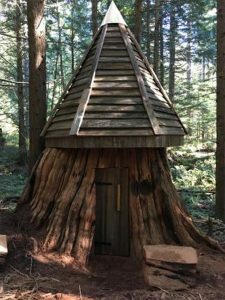 Located in the foothills of the Coast Mountains about 60 km east of Vancouver, the Malcolm Knapp Research Forest was established by a Crown Grant to the University of British Columbia in 1949. Its mission is to provide opportunities for research, demonstration, and education in forestry and conservation sciences… Next week, the forest will host DEMO International®, a world class, one-of-a-kind event for the forest industry and the flagship event of the Canadian Woodlands Forum. Since this major event happens only every four years (and in a different location each time), it’s a big deal. It features the latest technologies in equipment, products and services covering all aspects of woodlands operations. An estimated 10,000 visitors will be in attendance, including international delegates from more than 10 countries, putting the forest front and centre on the world stage. In the past 18 months, officers from the Ministry of Forests, Lands and Natural Resource Operations issued $14,878 worth of violation tickets related to unauthorized wood harvesting. The government has also collected $156,179 in administrative penalties from unauthorized commercial ventures. Unlawful firewood collection can create safety hazards for recreationalists and other forest users, and can negatively affect ecosystems, including fish and wildlife habitat. Top environment ministry officials had serious concerns that a plan to clear-cut log a swath of the boreal forest near Grassy Narrows, Ont., would release mercury into the already contaminated area, according to internal government emails in recent years. “Yes, logging introduces Hg (mercury)!” one scientist wrote to a colleague. In another email, the former director of the branch that oversees scientists charged with monitoring Ontario’s environment observed that “no one is tracking the downstream implications” of the logging plan. Despite these worries, the ministry in 2014 rejected a request by Grassy Narrows First Nation for an environmental assessment of the potential impact of the 10-year logging plan. That plan is on hold pending a court challenge by Grassy Narrows. Nova Scotia’s natural resources minister says the province will not place restrictions on the amount of clearcutting private woodlot owners can do on their land. “That’s up to the private landowners as to how they harvest their property,” Lloyd Hines said following the weekly cabinet meeting Thursday in Halifax. 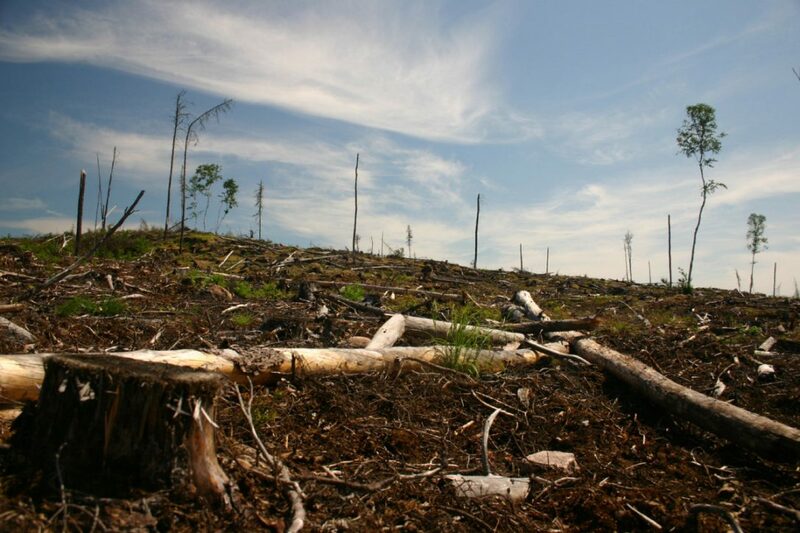 “Clearcutting is a recognized technique that is used throughout any place where there’s forest to harvest fibre.” Hines was responding to criticism by veteran Digby County forester Harold Alexander. 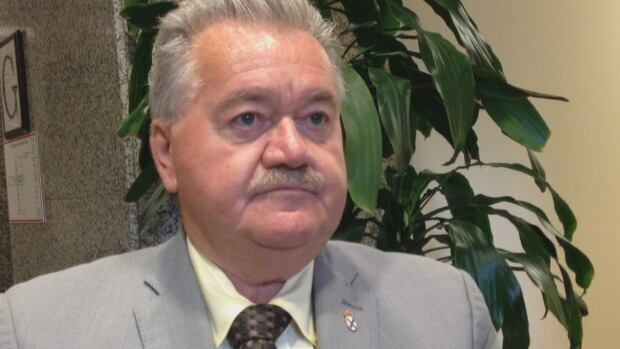 Last week Alexander said if the province really wants to create a long-term plan for forestry management, it should place restrictions on how private lands can be managed, since they account for about two thirds of all the land in the province. SEBRING — Several weeks ago, Senior Ranger Josh Watkins was battling a fire in Nevada’s Virginia Mountain Complex, when danger got up-close and personal… Watkins, who is stationed in Sebring as a Florida Forest Service wildland firefighter, said he and others always plan ahead to promote safety. He said if he couldn’t have walked around the fire, he had another direction to go to go to a safe area, although “the way I went was a lot shorter.” Watkins was one of three Florida Forest Service wildland firefighters stationed in Sebring sent during late July and August to assist in battling multiple fires in states that included Idaho, Nevada, California, Colorado and Utah. Rogue Valley elk hunters looking to improve on the region’s 1-in-20 success rate ought to think about going low and on private lands where they’re in the know. As elk numbers decline and hunter numbers remain high on upper-elevation public lands, hunters should try to take advantage of the ever-growing Roosevelt elk herds on lower-elevation private lands around area cities… The problems facing local elk herds and those who hunt them are well documented. Reduced logging on federal lands, as well as aggressive fire suppression, have reduced elk forage areas. With less habitat, the elk herds are shrinking, while hunter numbers have held relatively steady for years. Although it was slugged as a “community conversation” seeking the general public’s input about the health of the Mendocino National Forest on the Grindstone Ranger District, very few from the “public” were in attendance Sept. 8 for a Firescape Mendocino Workshop at the Paskenta Community Hall. The vast majority of attendees were people in the forest industry, either in the lumber business, government forest service, environmentalists or other forest specialists… The public workshop was one of many, along with recent field trips, hosted by the Grindstone Ranger District to learn about and discuss the current tree mortality situation on the forest due to drought, beetle infestation, disease and tree competition. According to forest officials, today’s forestry and fire problems are so complex, no single person, organization or party can solve them. STACYVILLE, Maine — Some want assurances that no forest product industry jobs will be lost. Others hope it will draw people to the Katahdin region. Still more worry about forest fires. 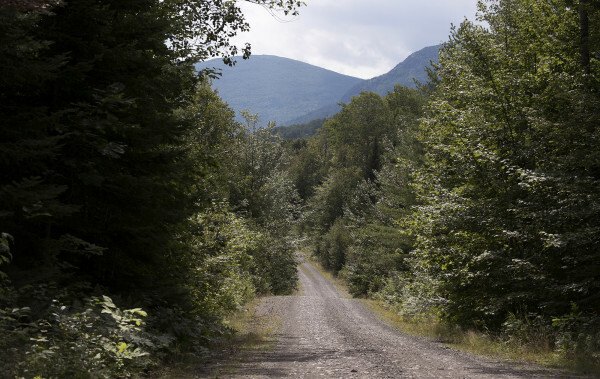 The National Park Service started the conversation its officials want to have with stakeholders on Thursday as they embark on a three-year journey toward a management plan for the Katahdin Woods and Waters National Monument. The conversation produced a lot of questions and concerns, but few answers, mainly because the event was a listening session, the first of four scheduled this month. Figuring out how global climate change will impact tropical rainforests is one of the most important and difficult questions facing scientists today… Now, researchers have identified a potential early warning sign by watching forests from space. “An overview of tree mortality events across continents and climate zones suggests that drought and elevated temperatures can bring forests to a threshold for massive die-off,” Jan Verbesselt, Marten Scheffer, and their colleagues write in Nature Climate Change. “For tropical forests, there is an extra dimension to such mortality events, as they could tip forests into a fire-dominated savannah state from which recovery is difficult,” a possibility that several recent studies suggest. With climate change driving species in the Northern Hemisphere ever further up the latitudinal ladder, a recent study released in the journal Science finds that Canada’s eastern boreal forests may act as crucial ecological reservoirs, islands of cooler habitat for the dominant tree species, black spruce (Picea mariana), and the panoply of plant and animal life that depend on it… For their work, the team used tree-ring samples studied 26,000 black spruce across an area the size of Spain in southern Quebec. They found that more than two-thirds of their sample areas north of the 49th parallel “should still be showing a positive response” to climate change. In other words, northern spruce forests will actually benefit from a warming world. Governor Edmund G. Brown Jr. recently signed legislation that directs $900 million in cap-and-trade funds to greenhouse gas reducing programs that benefit disadvantaged communities, support clean transportation, and protect natural ecosystems… These funds are a down-payment toward those ends – they will increase access to electric vehicles, solar panels, and low-carbon public transit; help us improve household energy efficiency and create new parks; and bolster our forest and wetland management efforts to better prepare for damaging wildfires and floods… $40 million to the Department of Forestry and Fire Protection, including: $25 million for the Healthy Forest Program; and $15 million for urban forestry programs. SEATTLE — Washington state adopted a new rule Thursday to limit greenhouse gas emissions from large carbon polluters, joining a handful of other states in capping emissions to address climate change. State environmental regulators finalized a rule requiring large industrial emitters to gradually reduce carbon emissions over time. The change will cover power plants, oil refineries, fuel distributors, pulp and paper mills and other industries. “When we consider the challenges our communities face from climate change, we are compelled to act,” state Ecology Director Maia Bellon said at a news conference on Seattle’s waterfront. OCEAN COUNTY, N.J. …Bare trunks of dead coastal forests are being discovered up and down the mid-Atlantic coastline, killed by the advance of rising seas. The “ghost forests,” as scientists call them, offer eerie evidence of some of the world’s fastest rates of sea level rise. Forests provide habitat and protect against global warming, but they’re declining worldwide because of land clearing, fires, disease and invasive species. 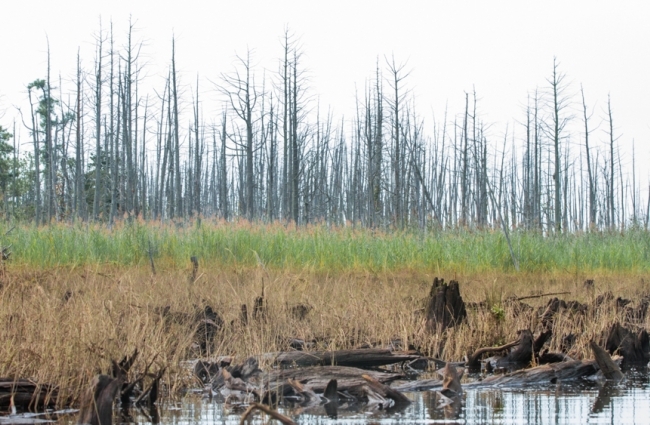 The ghost forests show sea level rise can be yet another cause of deforestation. Climate scientists like Walker, a PhD candidate at Rutgers University researching sea level rise, have begun investigating these dead forests, which are becoming common features along some coastal landscapes. The poison that kills the trees is salt, delivered to their roots by rising tides. Have you ever run your hand across a gleaming table top and wondered where its wood came from? Or asked whose job it was to cut the logs that became your new bookcase? Whose trees were used to produce that pencil you’re chewing on? Consider for a moment all the people whose livelihoods, history and future centre on the great forests that generate the timber we import every day. In fact, the lives of about 1.6 billion people depend directly on forests that stretch across South America, Africa and Asia. Billions more of us have an indirect interest since trees absorb and store carbon dioxide, a contributor to global warming and climate change. But these forests, reaching from Indonesia to Honduras to Ghana, are under pressure from illegal logging.